"Just a little feedback on your website. 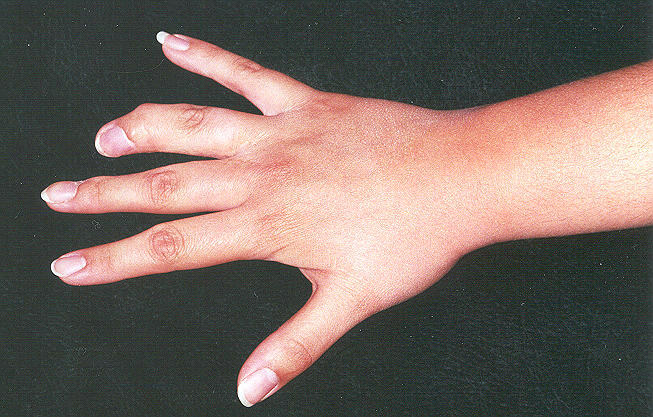 I am a 25 year old woman with bilateral simple complete syndactly of the 3rd and 4th fingers. I also have a delta bone in the 4th finger of the right hand. You mention treatment in your site and success of surgery, as an example I am able to form complete fists and play flute and piccolo, so surgery is quite successful. (many doctors I have seen seem surprised I have the range of motion I do, I guess I just take it for granted)". Her story shows how no two hands are alike. 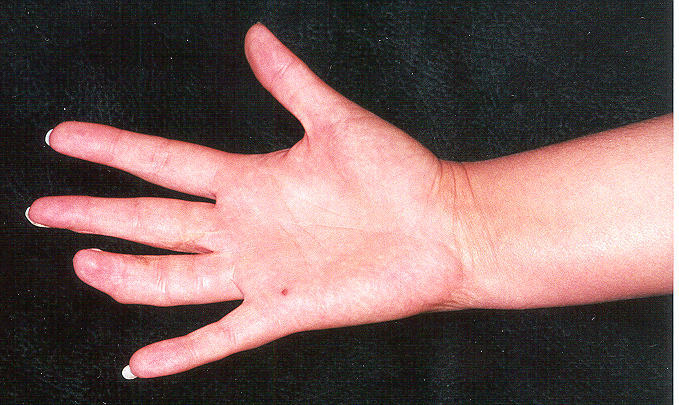 The "delta bone" refers to a situation in which the middle bone in the finger is more of a triangular than a rectangular shape. This can occur with or without syndactyly. 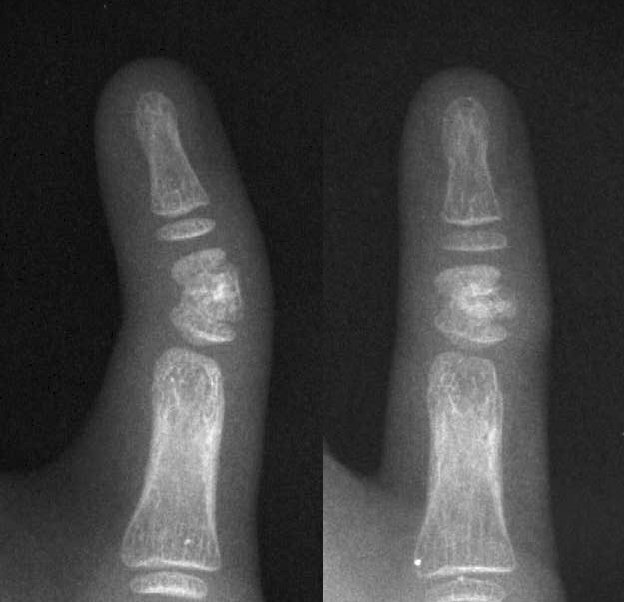 Although a delta bone results in a sideways curve of the finger, the joints on each end of the finger are usually normal. Surgery can be performed to straighten an angled bone as the before and after xrays of another patient show here, but is not needed in all cases.